Waihoroi Shortland is a writer, director, producer and actor who has more than 30 years’ experience working in te reo Māori-related media. His early working life was as a Clerk and Interpreter for the Māori Land Court in Te Taitokerau and as a Māori Community Officer in Auckland, Pukekohe and Kaitaia. From there he worked as a senior journalist on both Te Karere and Mana Māori Media. His film credits include the lead in Tangata Whai Rawa o Weneti – the Māori Merchant of Venice, a role for which he was awarded Best Actor at the New Zealand Film Awards. He was part of the cast of a te reo Māori adaptation of Shakespeare’s Troilus and Cressida at the Globe Theatre in London. Waihoroi was a Commissioner for Te Taura Whiri i te Reo Māori and is a current member of the Māori Television Services Board. Ngāti Kahungunu iwi language strategy in 2014. Pānia is a director of Takatū Associates Limited focusing on innovations in Māori language education and broadcasting; and Assistant Director of Te Panekiretanga o te Reo (Institute of Excellence in the Māori Language). Bentham Ohia has been involved with Te Wānanga o Aotearoa (TWOA), for many years, seven of which were spent as CEO (2006-2013). While at TWOA he was involved in the development of a number of Māori culture, knowledge, language and identity programmes. Bentham is the president of the leadership organisation Advancement of Māori Opportunity, and continues to mentor and support many of the graduates from the programme who are now in leadership roles. He is also deputy chairman at the Waikato-Tainui College of Research and Development and a Trustee of Nga Potiki Trust in Pāpāmoa, Tauranga. Aotearoa, and is the principal of Te Kura Kaupapa Māori o Ruamata in Rotorua, one of the first Maori language Aho Matua schools, as well as Tumuaki of Te Runanganui o ngā Kura Kaupapa Māori, the national body for kura kaupapa Māori. aimed at the identification and preservation of unique tribal dialectal variations. For more than 30 years Dr Ruakere Hond has been keenly involved with adult education in the community and in tertiary institutions, specifically in the areas of reo Māori immersion learning and community development. He is a professional development trainer with Te Ataarangi, a recipient of the Hohua Tutengaehe research fellowship and a programme facilitator with Kura Whakarauora - language planning training intensives. Previous positions include Project co-ordinator with Te Reo o Taranaki Trust and Head of Māori studies at Te Whare Wānanga o Awanuiārangi. Ruakere is currently Chairperson of Te Runanga o Te Ataarangi, a council member of Western Institute of Technology in Taranaki and is very active in development projects in Parihaka. He has held a number of governance positions such as Te Taura Whiri i te Reo Maori and has maintained involvement in many community-based reo initiatives at a regional and national level. Paulette has been involved with KMK since signing the whānau up in 2000 when it was first launched to the iwi. Over the last fifteen years, Paulette and her partner Komene have been on the journey of raising their tamariki in te reo Māori as the language of the home. They are both fully committed and involved in the revitalisation of te reo me ōna tikaka among Ngāi Tahu whānui and the wider community. Paulette is a graduate of Te Panekiretanga o Te Reo – Institute of Excellent in Te Reo Māori and brings experience in facilitation, planning, education, teaching, waiata performance and composition. Mereana Selby has been active in the Māori language revival movement over the last 40 years, particularly within her own iwi of Ngāti Raukawa. She has a particular interest in language revitalisation and intergenerational language transmission. Mereana began her career as a secondary school teacher of te reo Māori and Physical Education. She then took up a position at Wellington College of Education in bilingual teacher training. After 4 years there she joined Te Wānanga o Raukawa as Kaihautū (Director): Whakaakoranga, the faculty responsible for the delivery of Māori medium teacher training programmes. She also completed a Masters in Mātauranga Māori during this time. In 2007 Mereana was appointed to the role of Tumuaki at Te Wānanga o Raukawa. She is the first woman to be appointed as CEO of a Wānanga and is now in the 10th year of her tenure. She is the Chair of Te Tauihu o Ngā Wānanga - the association of the three wānanga. and video content within the MāoriLanguage.net website. Dr Hiria Hape is currently a Senior Advisor/Pouwhakahaere for Māori Relationships and is a member of the Senior Leadership Team at Te Puni Kōkiri, the Ministry for Māori Development. te reo Māori for Awanuiārangi. Hēmi Dale is currently the Director of Māori Medium Education at Te Puna Wānanga, the School of Māori Education at the University of Auckland. Mr Dale holds a Māori language Translators and Interpreters Certificate from the Māori Language Commission as well as having graduated from the Institute of Excellence in the Māori Language at Te Wānanga o Aotearoa: Te Panekiretanga o te Reo Māori. For more than 25 years Mr Dale has undertaken research informing and supporting the development of Māori medium education in Aotearoa NZ. More recently Mr Dale has been at the forefront of the development of the national Māori medium NCEA levels 1, 2 and 3 achievement standards for tikanga ā iwi (social sciences), matawhenua (geography), ōhanga (economics) and hītori (history). 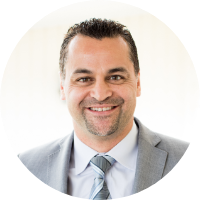 Robin Hapi has extensive governance and senior management experience across a range of government, private and community organisation. He was previously CEO of Aotearoa Fisheries Ltd for three years and CEO of the former Treaty of Waitangi Fisheries Commission for 13 years. 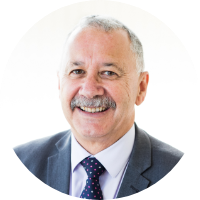 His current positions include Te Amokapua (Chair) of the Council of Te Wānanga-o-Raukawa, a board member of Callaghan Innovation, Te Pou Matakana the North Island Commissioning Agency for Whanau Ora, and New Zealand Trade and Enterprise. In 2016, he became a Companion of the New Zealand Order of Merit for services to Māori, community and governance. He is a Chartered Fellow of the Institute of Directors and a Fellow of the NZ Institute of Management. Willie Jackson was an inaugural board member of Te Mātāwai representing the Urban Reo Tukutuku Cluster until he vacated the position in June 2017. Nuki Tākao was an inaugural board member of Te Mātāwai she represented the Te Waipounamu Kāhui ā-Iwi Cluster until she vacated the position in November 2017. Te Atarangi Whiu was appointed as the inaugural Chief Executive of Te Mātāwai in February 2017 taking up her role in March 2017. 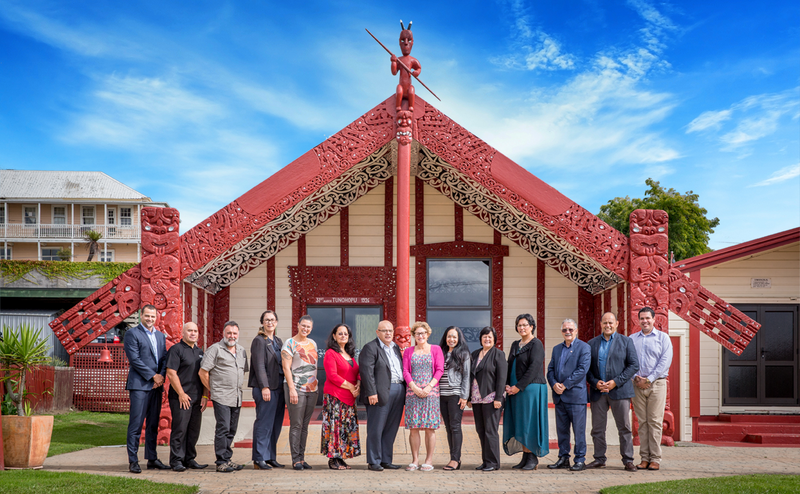 The Te Mātāwai board appointed her to lead the establishment of Te Mātāwai which is charged with leading the revitalization effort of te reo Māori in homes and communities. Ms Whiu is a strong te reo Māori advocate and brings to the role a strong background in kaupapa Māori initiatives, commitment to the language and understands the machinery of Government.